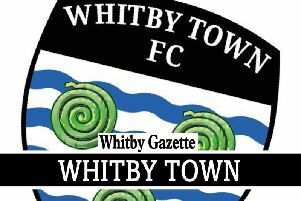 Whitby Town are on their travels, starting with a first-ever clash in Northamptonshire, with NPL new boys Corby Town. The Steelmen were relegated from the National North, last season and have found the going tough in their opening Northern Premier League campaign. However, 2017 has been a year of recovery as Gary Mills’ side began the new year with just two defeats in 14 outings. They are currently on a run of four winless matches, the latest being a 3-1 defeat at mid-table Ashton United, the same result as the Blues achieved on their trip to Hurst Cross. Built in 2011, adjoining their former Rockingham Triangle Athletics Stadium home, Steel Park is Corby’s HQ. It’s record attendance in November 2011 saw Glasgow Rangers attract over 2,200 to the ground. The Steelmen are locked in a three-way battle with Sutton Coldfield and Frickley to avoid the NPL Premier’s two remaining relegation places. With Skelmersdale United already relegated and second-bottom Ilkeston seemingly in disarray after failing to fulfil last Saturday’s scheduled trip to Workington. Last August, Corby’s first-ever clash with the Seasiders saw them go down to a Dale Hopson penalty in Whitby’s first home game of the campaign. The Blues then visit another bottom-half side, in Mickleover Sports, on Tuesday night. The Derbyshire outfit scrapped to a 1-1 draw, at the Turnbull Ground, in September, after Matty Tymon’s goal was cancelled out by a disputed handball penalty after Luke Bythway’s pass struck Andrew May from close range. Like Corby, Sports are on a poor run, with no win in seven, since the 2-1 home victory, over Grantham in February. The Blues go into their away double on the back of eight games unbeaten, though manager Chris Hardy admitted midfielder David Carson’s season was as good as over, after his ligament injury, sustained against Stafford, last week.